A1 Ogrin won't stop surprising us with the kind of vibes he brings to our stables. 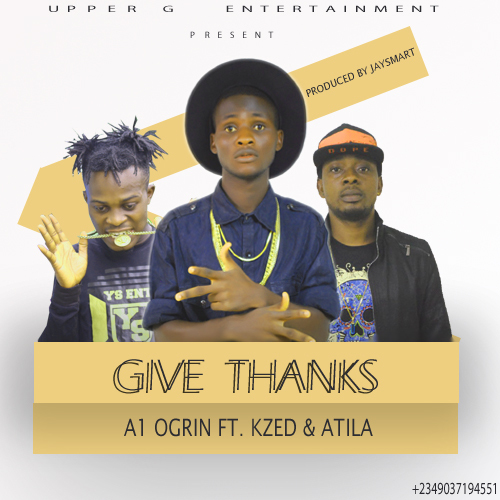 Now he's here with this new tune titled "Give Thanks" featuring Atila and Kzed. This song is just too sound for man's like. Download, listen and share with your friends and foes. For it is a song of appreciation to God.